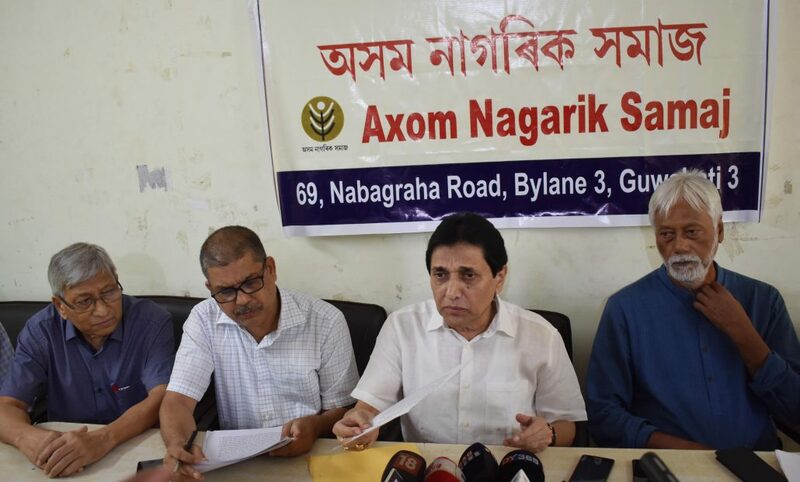 The delegation of Axom Nagarik Samaj, which visited Dokmoka on June 15, to take stock of the situation after the mob lynching incident that took place in Panjuri Kachari Gaon under Dokmoka PS in Karbi Anglong district, expressed that the Bharatiya Janata Party-led Central Government’s much-hyped ‘Digital India’ is yet to reach the district. It may be mentioned that two Guwahati youths – Nilotpal Das and Abhijeet Nath – were lynched on June 8, 2018 at Panjuri suspecting them to be ‘sopadhora’ (child-lifters). The delegation also called on the local MLA and Karbi Anglong Deputy Commissioner regarding the matter. Former home secretary to Government of Assam, Dhirendranath Saikia questioned whether the Dokmoka incident had happened suddenly or it was a conspiracy. The Axom Nagarik Samaj appealed to the people of the State to maintain peace and harmony and not to communalise the incident.